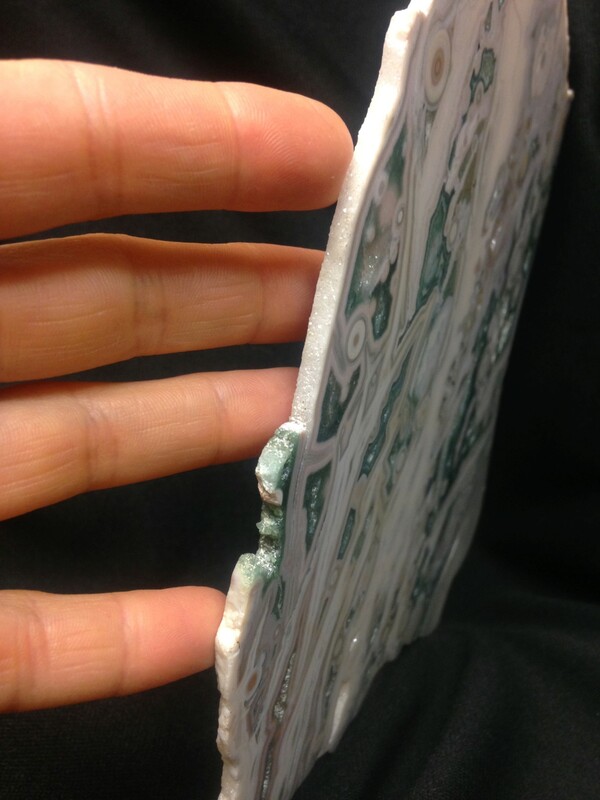 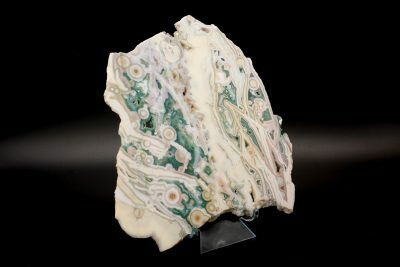 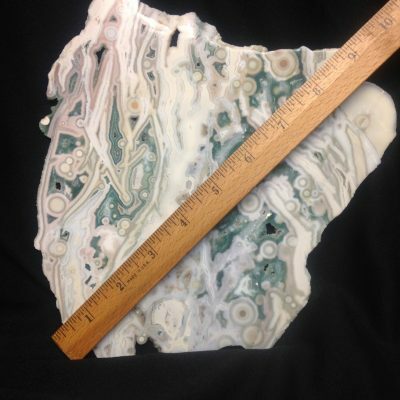 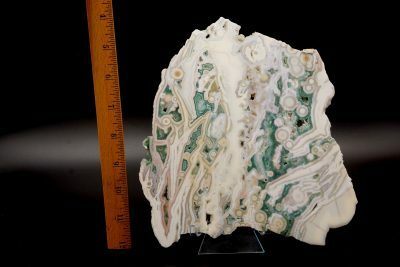 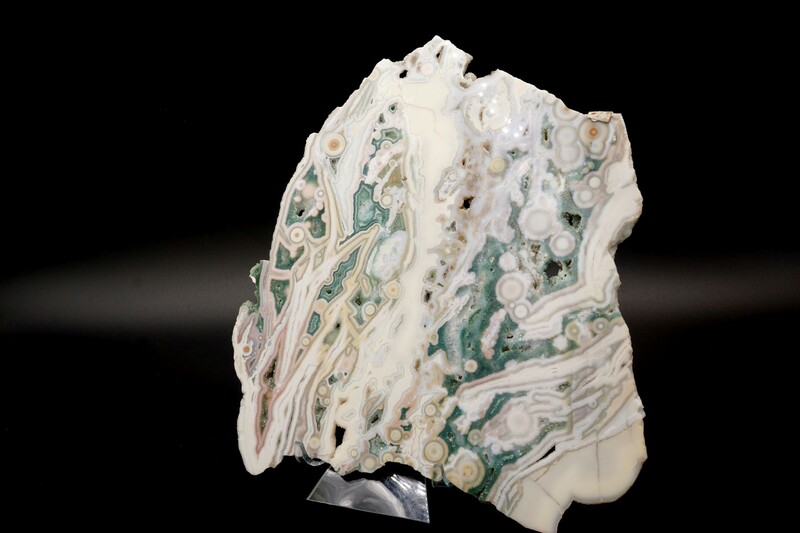 Beautiful green and white orbicular jasper slice from Madagascar. 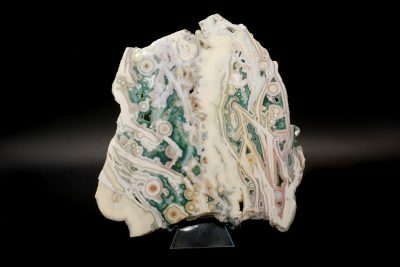 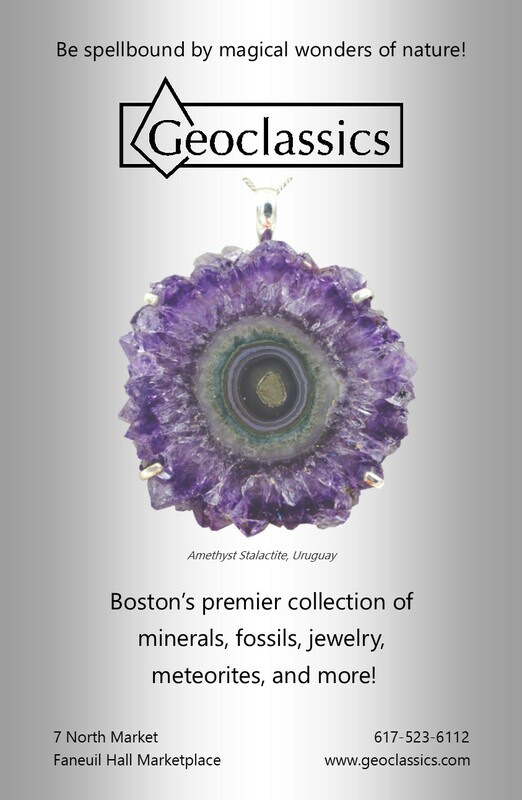 We bought this piece years ago, when orbicular jasper was first available on the market. It’s a beauty!